We want our students to grapple more with content, to think historically, and solve problems. One of the ways we can support this behavior is by asking our kids to think and write to support a claim using evidence. Here in the great state of Kansas University basketball, our standards and assessment use the term “argumentative writing” to describe the process of supporting claims with evidence. That phrase can sound a little too much like some of last year’s presidential debates or this month’s childish Twitter wars but . . . asking kids to create an argument and to support that argument really is a good thing. We want them to be able to look at a problem, gather and organize evidence, and use that evidence to create a well-supported argument. As many of us move from a content focused instructional model to one that instead asks students to use that content in authentic ways, it can sometimes be difficult knowing how to actually have them write argumentatively. But there are resources available to help with your lesson design. We’ve gone back to an earlier post from our partner blog History Tech to cherry pick some of our favorites. Pick and choose the ones that work best for you. Students in a hurry often fail to tailor the thesis statement to the exact details and form of the DBQ or other essay prompt. They need to pay attention to the question’s details, and also to its form (e.g. compare and contrast, explain and describe, assess the validity, etc. ), which can guide the way they structure their thesis statement and the essay as a whole. Students may view the thesis statement as an absolute claim and may make sweeping assertions they can’t possibly prove without qualification. They need to see a thesis as a tentative hypothesis, one they should qualify by referring to primary sources that seem to contradict it. Have students write frequently. Consider the demands of the writing tasks you use and have students write analytic pieces and historical arguments, not just descriptive or summary pieces. Teach students to write historical arguments where they make claims and support them with evidence. Segment and model this task. 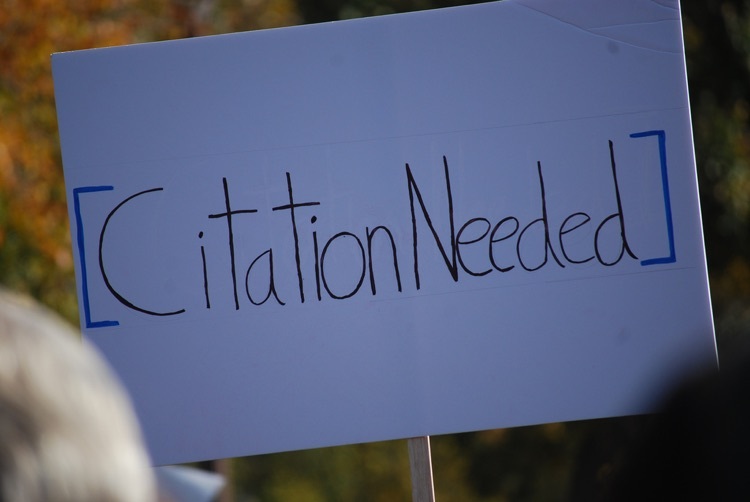 For example, teach students how to write thesis statements and share and evaluate models of effective theses. 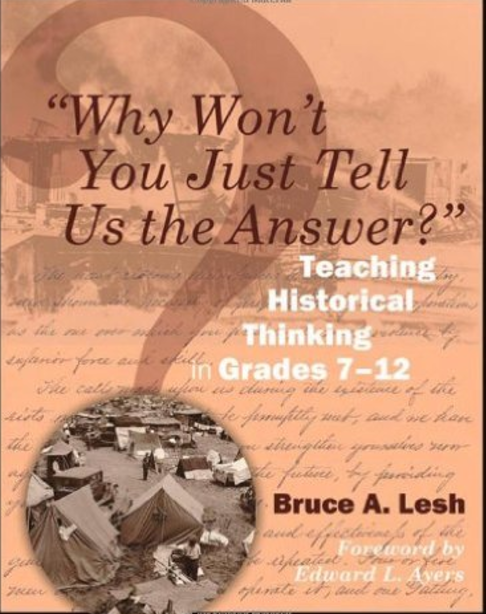 Reading multiple texts is essential to teaching evidence-based historical argument. Have students write analyses of single sources and also look across sources to answer a question. Select texts carefully so students encounter models of argument and also see how sources are the raw materials for making historical arguments. Bruce Lesh of Why Won’t You Just Tell Us the Answer fame developed several powerful tools that he calls Quick Writes. Quick Writes are simple but sophisticated exit card activities that encourage the use of evidence to support a claim. A Quick Write asks students to aggregate factual information to make an evidence-based argument, to rank the evidence by importance and usefulness, and to demonstrate specific historical thinking concepts such as periodization, interpretation, causation, comparison, and synthesis – more conceptual thinking that goes beyond the basics of Sam Wineburg’s suggested skills of sourcing, contextualizing, corroboration, and close reading. And it’s always nice to have some writing prompts that support argumentative writing. The New York Times Learning Network has been generating prompts for years based on current events and contemporary issues. You can find over 500 different prompts here and here. They also created a useful article titled For the Sake of Argument: Writing Persuasively to Craft Short, Evidence-Based Editorials that provides some handy step-by-step tips that you can use to help design learning activities in your classroom. We’ve put together a PDF handout with more examples, ideas, and suggestions from a variety of people. Head over to get even more about evidence based terms at the secondary level, over here to get more Quick Writes stuff from Bruce Lesh, and here for some cool goodies called Media Based Questions. The presidential debates from last fall provide a great non-example of how to develop and support an argument. Your kids can do better. These tools can help.